Excerpts from the '22nd Annual Writer's Digest Self-Published Book Awards': "The packaging is extremely professional, making this a lovely coffee table or gift book. The cover copy does a great job of telling readers what they will get out of this book which is an incredible artistic and historical document. It is very well organized with good grammar and proofreading. The formatting of the book is effective with the illustrations printed on just one side of the page, which shows off the images very well. The font is large and nearly double spaced. The quality of the reproduction of the artwork is excellent." 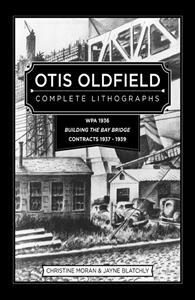 'Otis Oldfield Complete Lithographs' earned the top rated five stars for non-fiction in 1) Structure, Organization and Pacing, 2) Spelling, punctuation and Grammar, 3) Production, Quality and Cover Design, and 4) Voice and Writing Style.